I just learned I’m speaking at a conference this summer with Geoffrey Moore, author of “Crossing the Chasm”. Geoffrey wrote the book with high-tech products in mind but I find the model useful when thinking about brands as well. Innovations progress across five distinct customer groups: innovators, early adopters, early majority, late majority, and laggards. 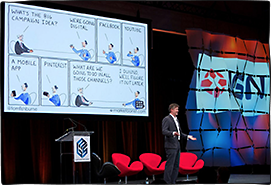 Geoffrey argued that marketers should focus on one group of customers at a time and use each group as a base to market to the next group. 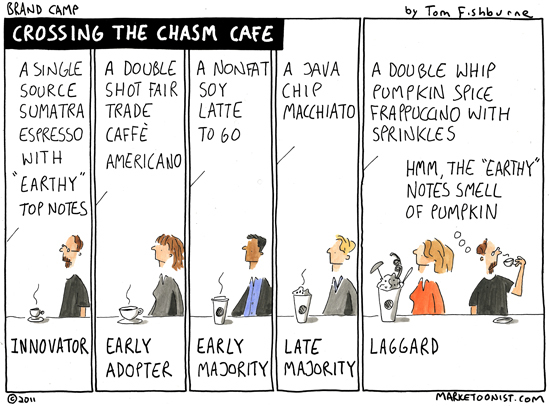 The most difficult step is “crossing the chasm” from the early adopters to the early majority. That chasm separates breakthrough products like the iPod from niche products like the Rio MP3 player. Starbucks wasn’t the first coffee brand to offer a quality $4 latte. But it was the first to make them mainstream. When a brand crosses that chasm, can it still remain relevant to the innovators and early adopters? When the Starbucks experience devolves into Pumpkin Spice Frappuccinos, can it retain the purists who come for the Sumatra Single Source? Baristas at my local coffee shop had to attend two-day intense training before being allowed to sell Blue Bottle beans. This type of dedication has inspired cult-like fans. Starbucks doesn’t want to lose the early adopters. Schultz is making changes to return to its roots and focus on Starbuck’s core, partly through renewed attention to its coffee and partly through tiered brands like Seattle’s Best (and a rumored acquisition of Peet’s) and new concept stores. But I wonder: how successfully can one brand straddle the whole customer continuum from early adopters to laggards? Are there any brands that do this well? As for brands, I’d argue that Apple has done a pretty good job of that, managing to be known for simplicity and ease of use for those who’d like some hand-holding, and under-the-hood power and sheer coolness for the early adopters. But you’re killing me with the Blue Bottle Coffee – you can’t get it in Vancouver, and I wish I knew when I was next going to be in the Bay Area! Great post and a very interesting question that you pose. I’d suggest that when a brand gets to the “early majority” stage then almost by definition it’s no longer able to completely satisfy the the “early adopters” (for whom exclusivity is a big part of the appeal). So, should it even try? If the aim is to maximise growth and profits, then the company is probably better off evolving to cater as best as possible for the new, broader audience. If the early adopters stick around, that’s great, but better to maintain a clear focus rather than end up falling between two stools. As to brands that manage the juggling act, Apple comes to mind. 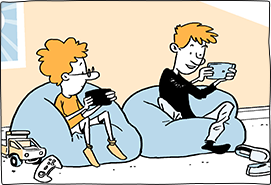 Their key skill, to my mind, is that they’re always coming up with something new to appeal to the “early adopters”. Hard to pull off that kind of constant innovation and creative destruction, however. Thanks again for a thought-provoking post! A great post in a very delicate moment for any brand trying to balance the volume factor vs cool factor. Amongst many brands facing with the dilemma, two are doing a fantastic job at this: Nike and Ralph Lauren. Both are appealing to a vast majority of international customers, continously growing their business but remaing relevant to their initial core targets: real athletes for Nike, real fashionistas for Ralph Lauren. I believe this is possible if brands: a) stay true to themselves and consistently deliver their brand promise (Nike: just do it; Polo: success); b) continously invest in innovation; c) are properly segmenting the product offers; d) are remaining relevant to their initial core business; e) have a strong leadership from the top and a strong discipline in brand management. Selling out. Jumping the shark. Quarterly reporting to shareholders. Call it what you will, but successful brands inevitably face a decision: volume versus values. A very recent TV spot for Porsche comes to mind (http://youtu.be/mflDXdjqKz4) promoting their vehicles as “everyday cars”. Wow. I was shocked to see this and thought it could be a bad April Fools joke. Brands can be financially successful, deliver exceptional shareholder value and live entirely serving early adopters without diluting their brand to be all things to all people. Noted examples mentioned. The reason Shultz is so concerned about the early adopter is because they have tremendous influence over the masses. Apple understands this best. That’s why they choke supply of new products, causing massive amounts of early adopter angst…along with PR. 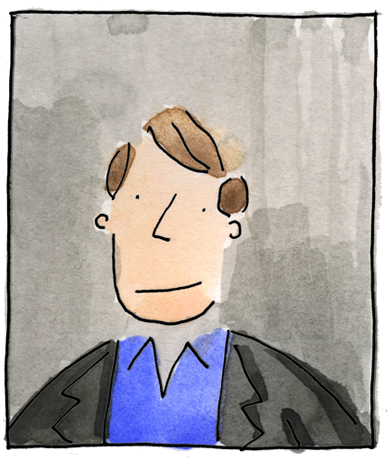 Without early adopters, there’s less blogging, less bragging, less chat, less velocity. I really don’t know from a financial analysis standpoint if less volume (i.e., staying focused) generates less shareholder value in the end. I do believe, however, that at one point in the not too distant past, Starbucks could have been valued at more than McDonalds. Keep evolving as innovators Starbucks. Don’t become the WalMart of cafes. There is only one brand I can think of that truly innovates on a regular basis while having their foot in every other demographic: Google. They are always trying to create the next big Internet/tech idea, and at the same time even my mom (holy laggard!) uses their search and has a gmail account. They keep finding ways to put out another big next thing while their earliest successes are things almost everyone use. I wanted to comment more on the brilliance of ideas like Blue Bottle. There will always be an opportunity to serve people who want something different than what everyone else has. So many people want to launch the next billion-dollar idea, but how many people launch a million-dollar idea? Not that many. That’s where the majority of success stories head for, the million-dollar ideas. Now I want to try some Blue Bottle myself…. 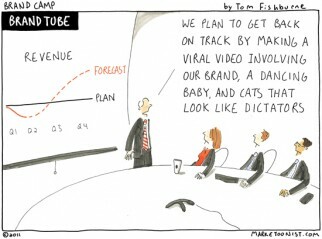 Tom–Love your cartoons and blog, and this post is no exception. So glad you’re out there! The route to chasm-crossing is often touted as a segmentation/differentiation approach: offering certain premium products to the cognoscenti and others to the masses. Lauren cited above does this, and other brands such as sports-niche brands in skating, skiing and other areas come to mind. I’m just not sure it really works. Does Harley-Davidson still have any edgy badass credibility? Or is it more of a wannabe rebel brand for aging boomers? Apple is the only major brand that seems to do this well. As earlier commenters have said, it cultivates its early adopters through both product (cool) and distribution (controlled). But they risk becoming caricatures of themselves if their products don’t measure up to the hype. So far, they seem to be managing that risk pretty well, though, by focusing on delighting customers, not basking in their own coolness. Really great insights and case studies everyone, thanks! Crossing the chasm is a tricky balancing act for a brand. Going forward, I’m going to send out 2 signed cartoons each week: one to a comment on my blog and one to a comment on facebook. This week, I’m going to send one to everyone who took the time to comment. Thanks to Alex, Rob, Kevin, Andrea, Roy, Jonathan, and Tracy. I learned a lot this week. Brands have an opportunity that Apple recognizes but many other brands do not. The opportunity is that the chain of users that Geoffrey Moore identifies isn’t always linear. Moreover, I’d argue that the early adopter, while wanting exclusivity, really wants recognition for their early adopter-ness. This means the opportunity for keeping early adopters around is in recognizing their role in the development of the brand. Involving them in conversation and allowing them to play a defined part in moving forward. This doesn’t mean that you give them the keys to the castle and let them design product but it does mean acknowledgement, reward and position. Understand that what inspires many hobbies, including chasing the “next thing”, is that many people don’t derive a lot of fulfillment from their day to day. They’d be better situated to survive, and take advantage of, shifts in market. – Apple nearly failed back in the mid-90s. – earning and supporting a committed base of innovators and early adopters means being able to tap consumers with the most experience with your brand. – Having that long-term community of knowledgeable supporters means having tons of conversations happening about your brand happening all the time. Since we live in a world where the strength of a brand is strongly connected to its search results, this is far more powerful than it seems. – The best brands are the ones that can be co-opted to do something new. 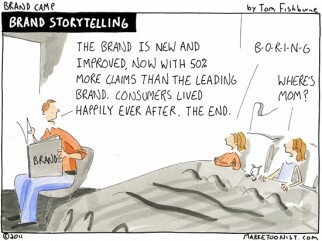 Sometimes this means your consumers pivot your brand and create new markets via demand or innovation. Apple saw this by allowing developers to create add-on applications that were then rolled into the OS (Quicksilver begot Spotlight). Sadly, brand is only explicit in Moore’s late mainstream market. It gets real old when the consumer “early adopter” gets conflated with the technical enthusiast and B2B early adopter. Coffee is a long adopted category, so anything that happens to it happens in Moore’s late mainstream market. Moore’s phase structure was inherited from Rogers, so it is laid out as a normal distribution, which does not represent the system at the micro level of what goes on within Moore’s phases. In terms of consumer categories, the phases constitute a vertical stack within each category. The technical enthusiast lays at the bottom of that stack, Gladwell’s mavens. Then, comes the layer for the early adopter, the people that pay the early, high price. Then on to the subsequent layers with the laggards on top, or late to the party. As a bit of a coffee snob myself, I love this cartoon. While my sister-in-law works at a local Starbucks (a company that’s fair to its employees), there’s something extraordinary about the Intelligentsias, Blue Bottles, and Stumptowns of the coffee world.